Stacey Trock is the owner of FreshStitches. After a technical failure during our interview at The National NeedleArts Association summer show in June, we talked over Skype about the success of her kit club and why she is switching to digital subscriptions. We also discussed how and why she's diversified her income and her perspective on pacing her business growth, customer service, social media, and more. About Stacey Trock Stacey Trock, the owner of FreshStitches, recently relocated to Los Angeles with her husband and daughter. Stacey started her business in 2008 selling crochet amigurumi patterns as PDFs and has since expanded her business and diversified her income. She is the author of Cuddly Crochet, Crocheted Softies, and Modern Baby Crochet. She is a nationally recognized knitting teacher (and she explains why in the interview), as well as a crochet instructor of 4 Craftsy classes: Amigurumi: Design Your Own Monster, Crocheting in the Round: Mix and Match Hats, Amigurumi: Woodland Animals, and Kawaii Amigurumi Crochet: Adorable Animals and Friends. She also teaches business classes from time to time. She blogs and sells crochet and craft kits and craft eyes through her website. She designs crochet and knitting patterns. She recently launched a yarn line, FreshStitches Gems Worsted, with Louet. And, she recently transitioned her kit club to a digital ami club. Mindset, including speaking your business fantasies into reality. Stacey also answers questions from Delisa at Apocalypse Friday, Angie Doherty at Hooked by Angel, Carmen Nuland at A Simple Homestead, Angela Plunkett at Little Monkeys Design, and Anita Bose Natarajan from NitaB&NishaN. Listen to the podcast for more discussion from me and Stacey. Stacey mentions the benefits of TNNA membership in the interview. You may want to listen to Episode 61: The National NeedleArts Association Membership and Trade Show for Newbies with Beth Whiteside for more details. Stacey talks about diversifying her income a lot in this interview. You may want to listen to Episode 56: 6 Income Streams for Yarn-Related Businesses for more details. Stacey uses Endicia for postage. You can learn more here. I'll be speaking at the Creativation Show (formerly known as the Craft and Hobby Association Mega Show). Let me know if I'll see you in Phoenix, Arizona from January 19-23, 2017. CHA members can register for free for my seminars, 4 Paths to Getting Your Work Published with Kathy Cano-Murillo/Crafty Chica and Podcasting 101. Did Stacey inspire you to start a membership program, sell kits, change your approach to time management or email, or something else? 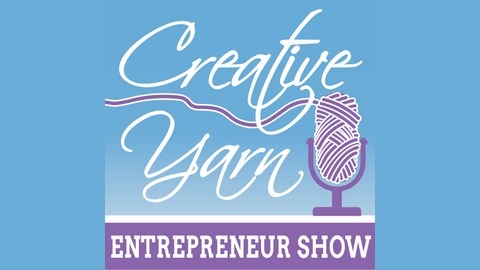 Share your comments in the show notes for this episode at http://creativeyarnentrepreneur.com/episode71. 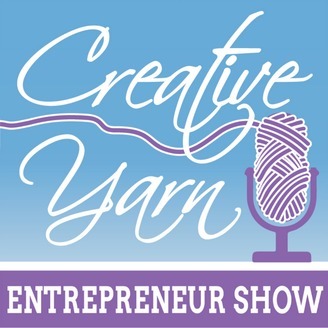 You can also comment in the Creative Yarn Entrepreneurs Facebook group, comment on the Creative Yarn Entrepreneur Facebook page, Tweet me at @cyeshow, add me to your G+ circle and send me a note, or leave a message at 646-713-8973. Feel free to ask questions, too, which may be used in an upcoming episode.